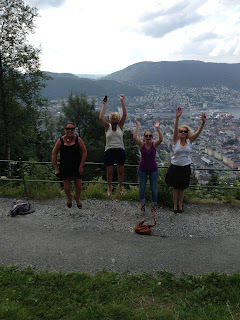 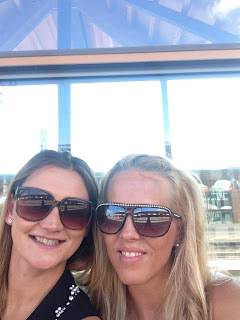 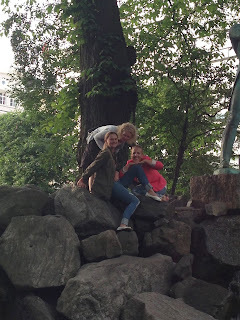 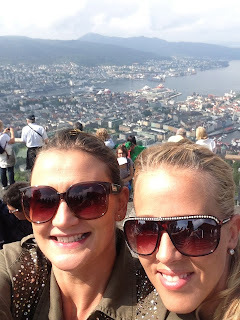 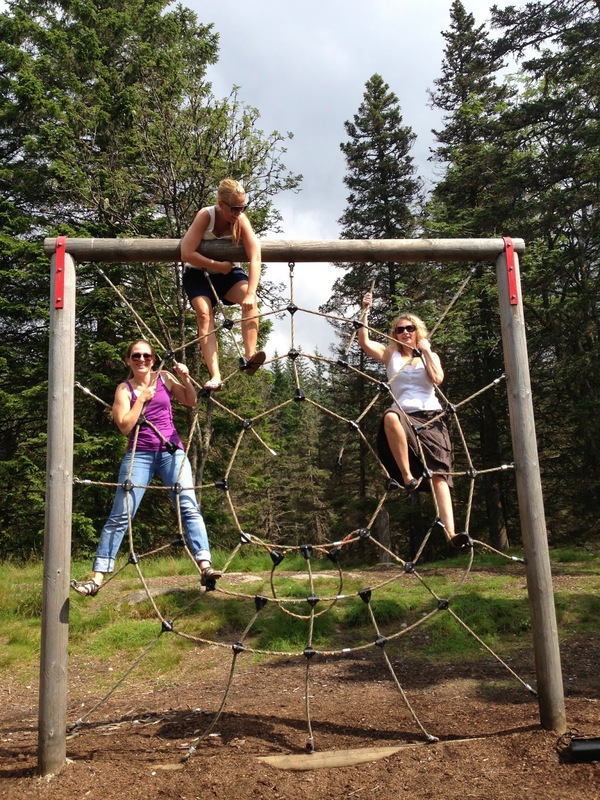 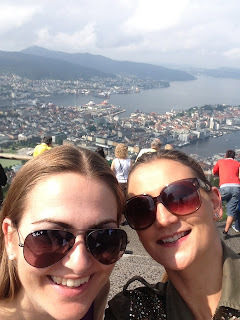 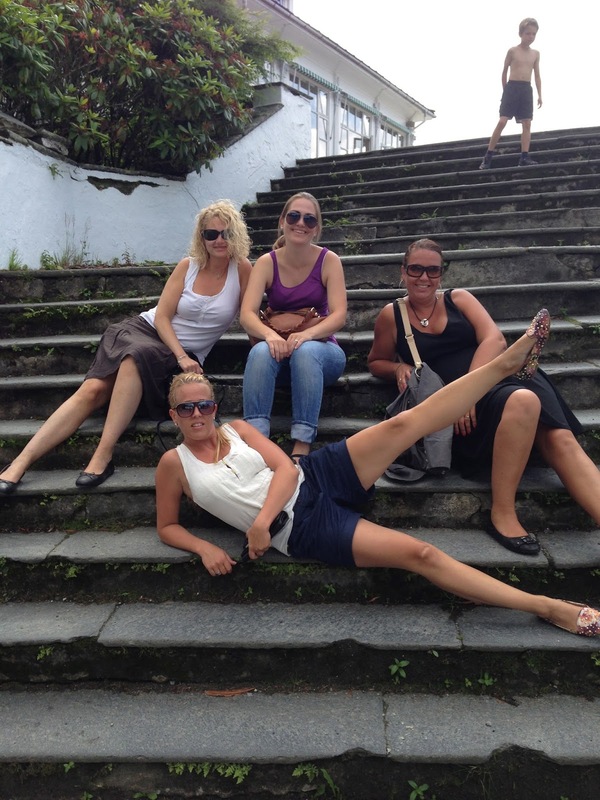 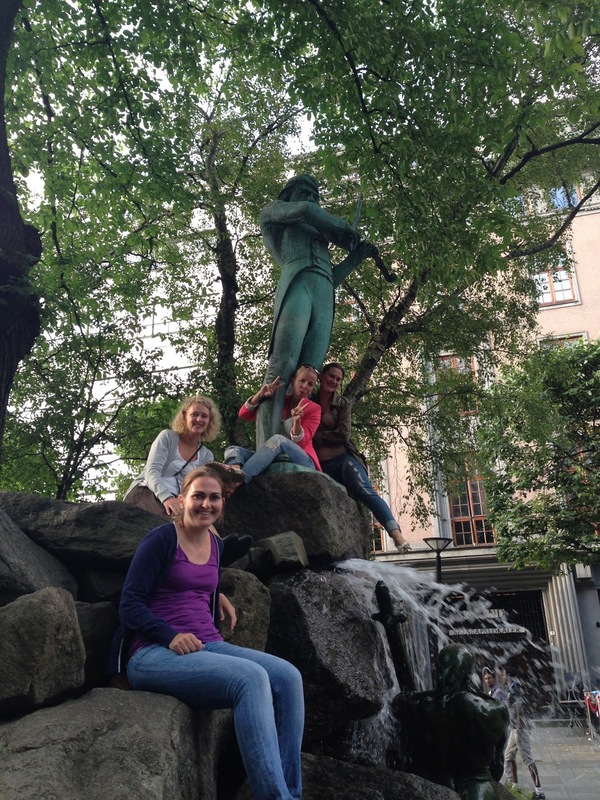 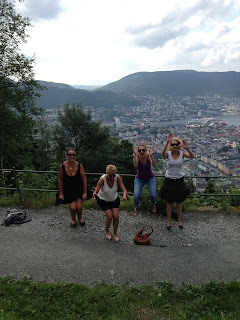 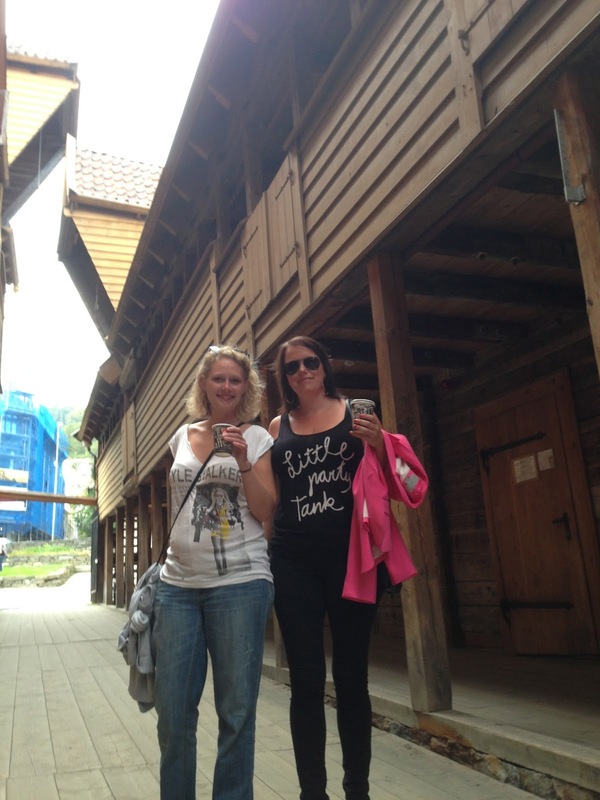 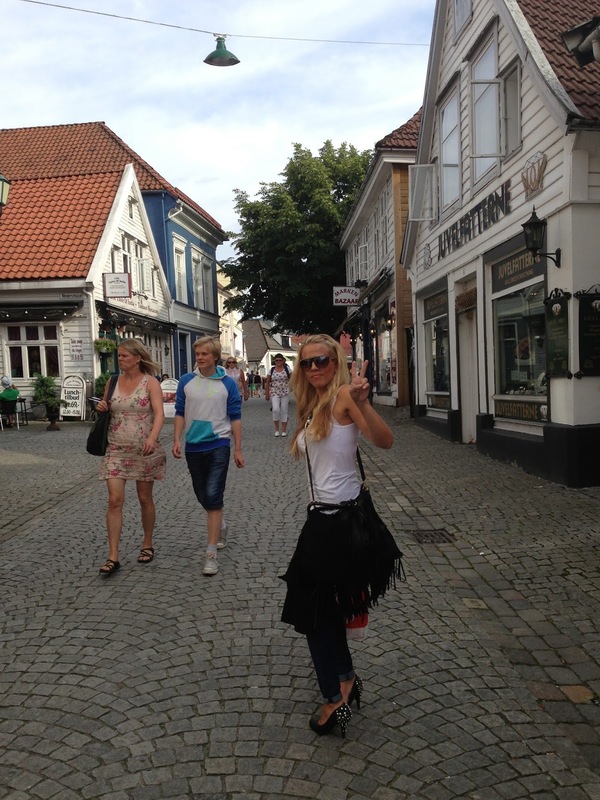 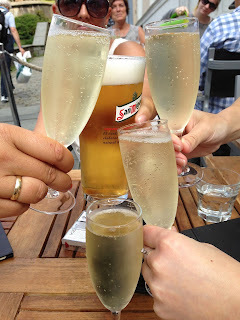 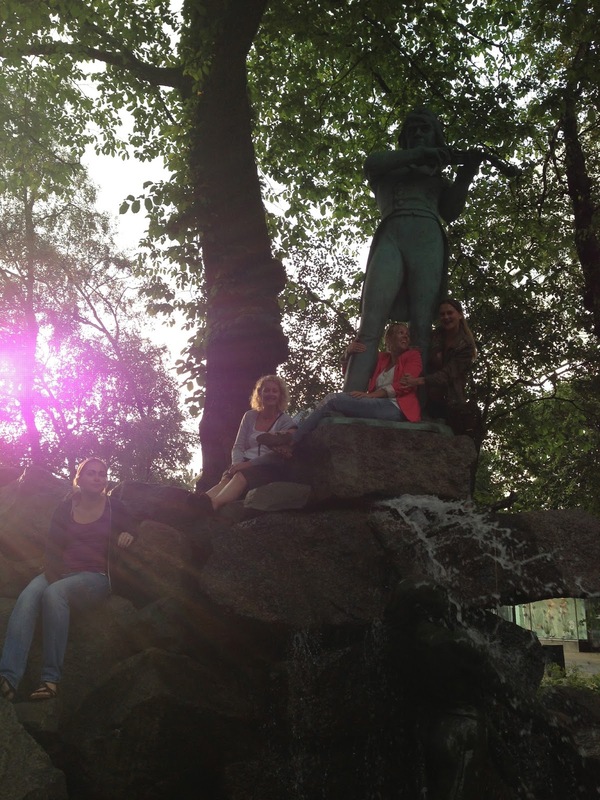 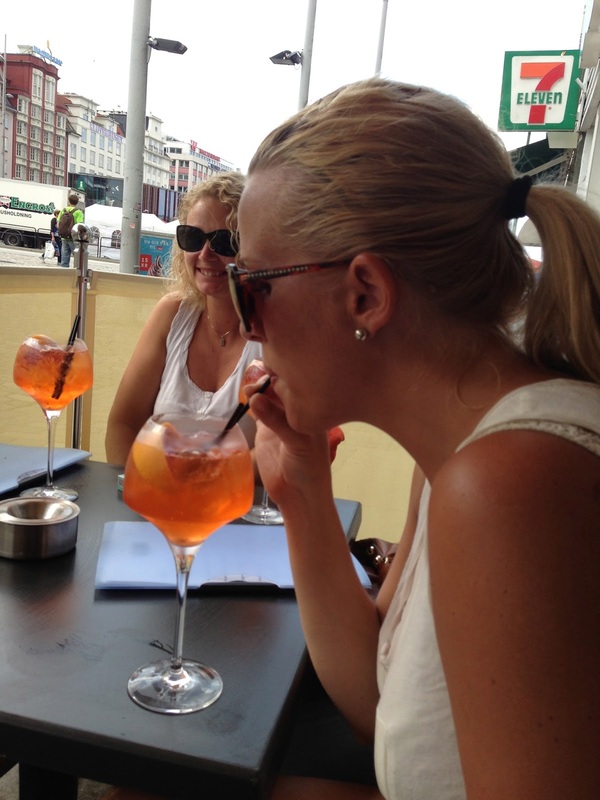 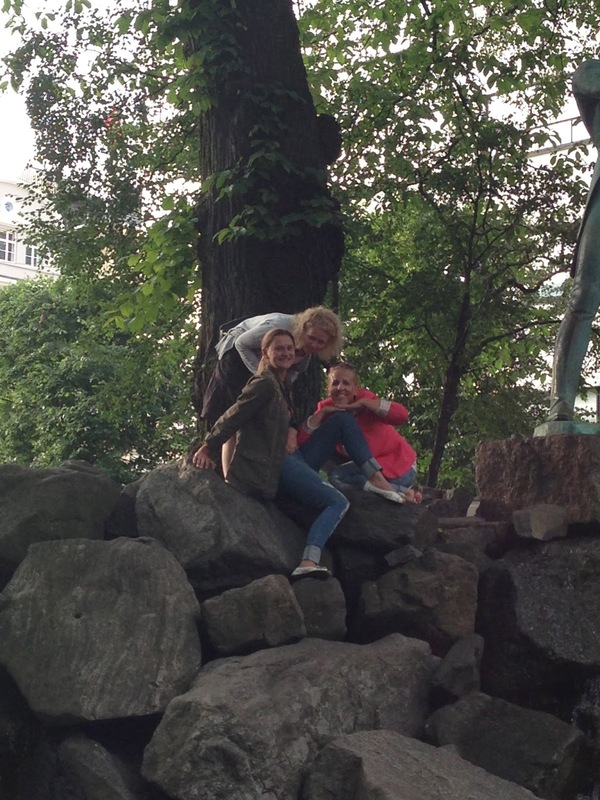 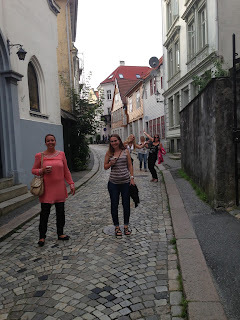 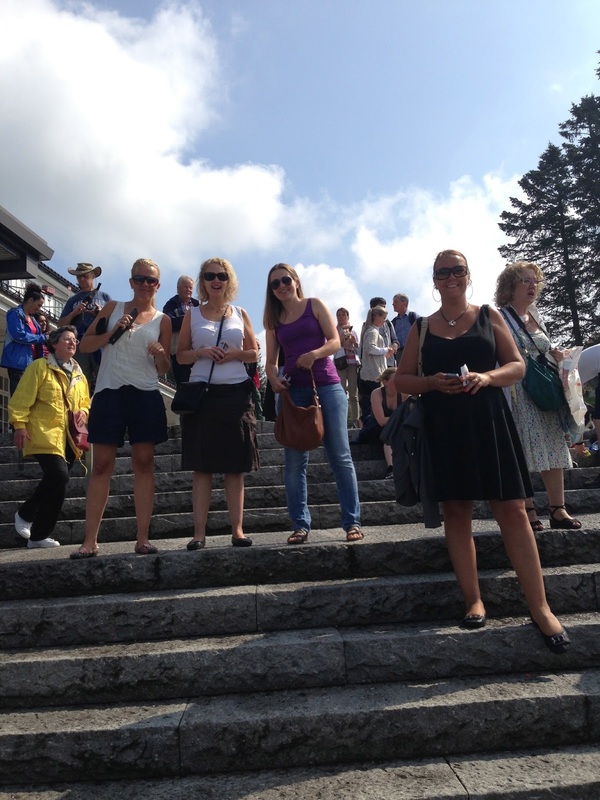 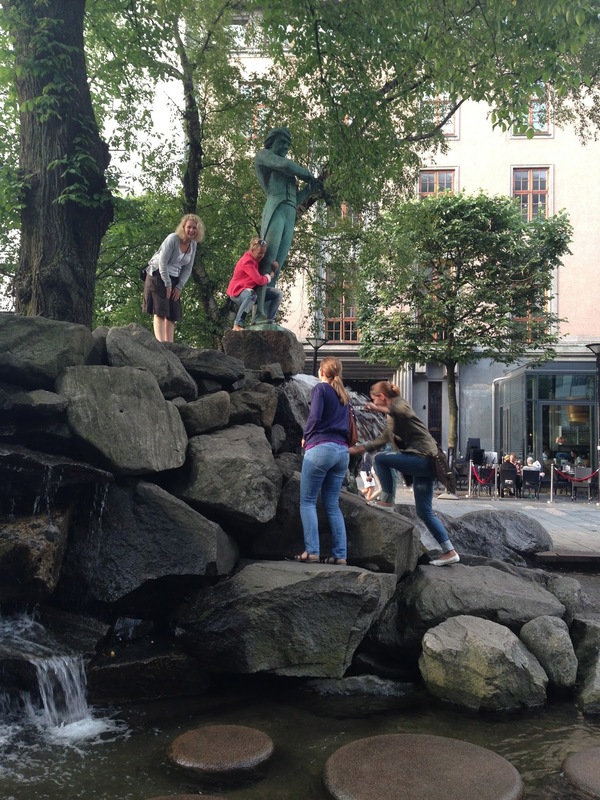 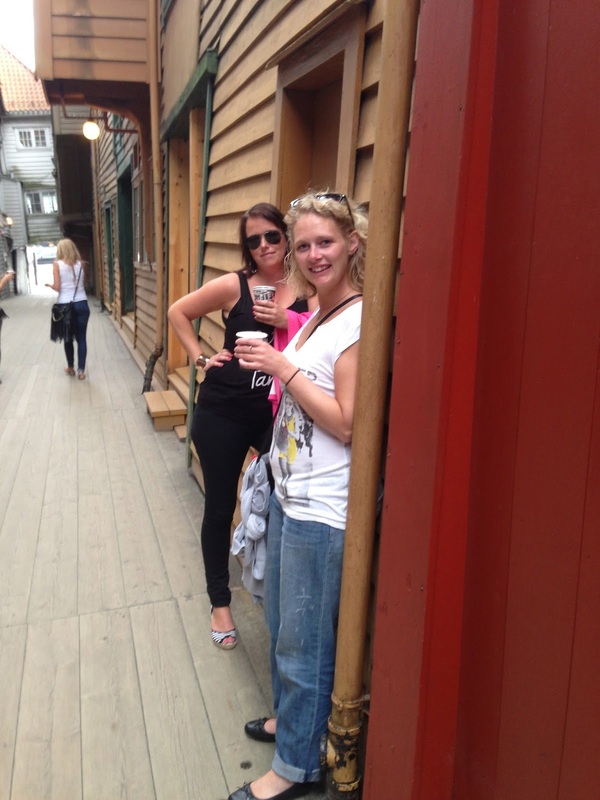 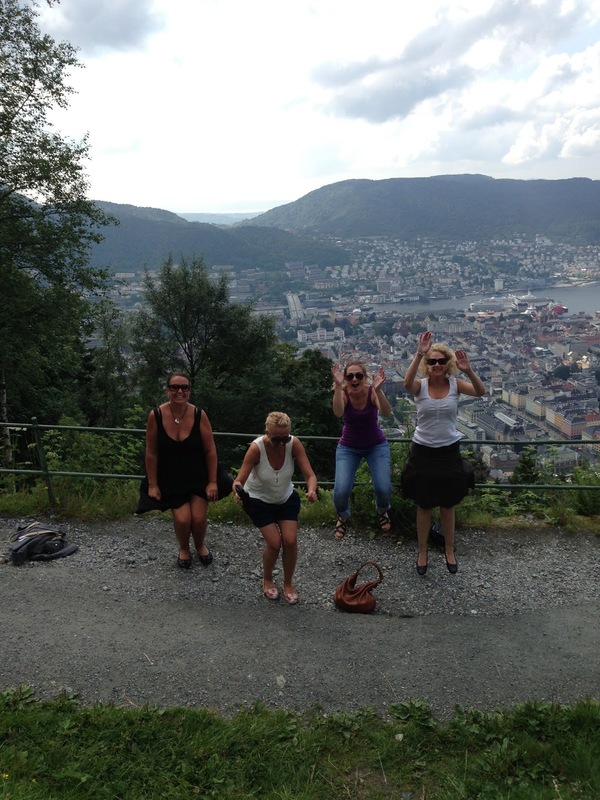 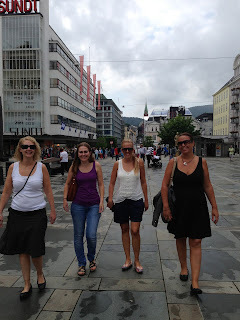 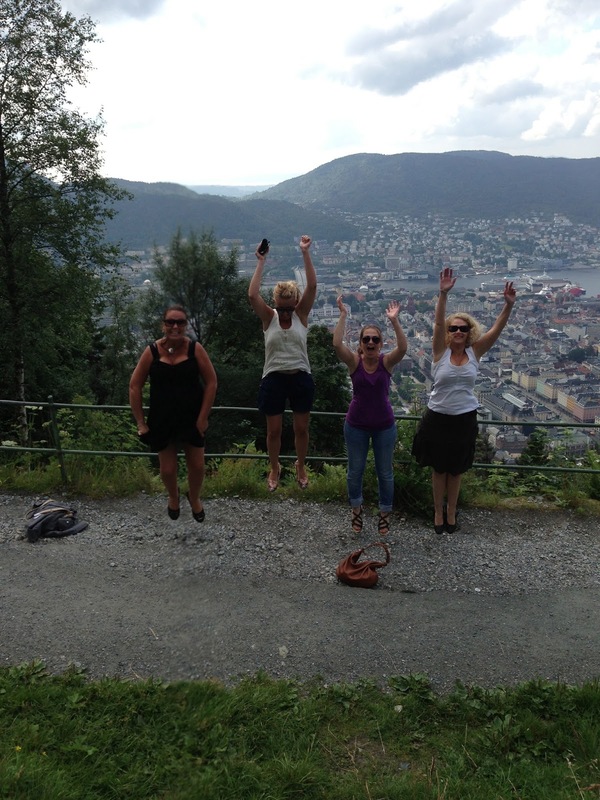 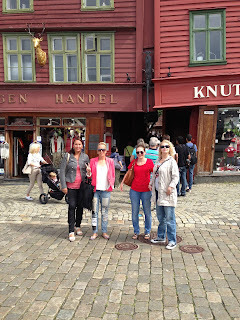 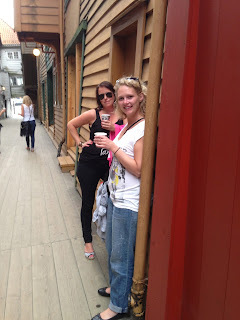 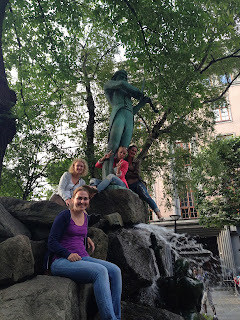 Girls weekend trip to the wonderful city of Bergen. 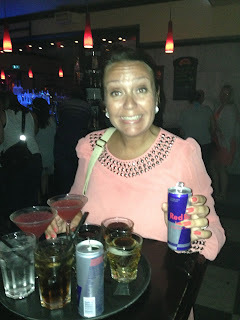 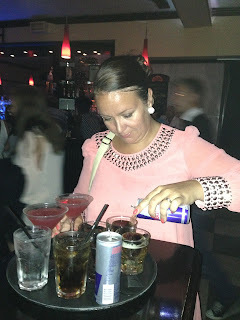 Friday night Rihanna concert and off course loads of fun. 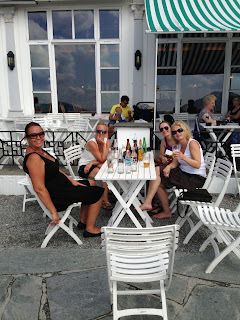 5 of us met up in the airport, just in time for a glass of wine before we went on the plane to Bergen to meet up with the last person (she lives there). At the train station waiting for the train to Oslo airport. When we arrived in bergen we just went straight to our hotel, Radisson Blue Hotel Norge, which is located in the middle of Bergen city center. 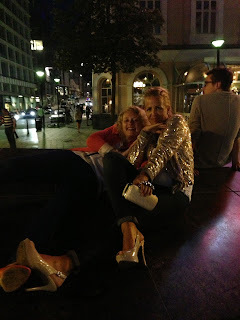 We just threw in our bags and went straight back out to meet the last person who were joining us that evening. 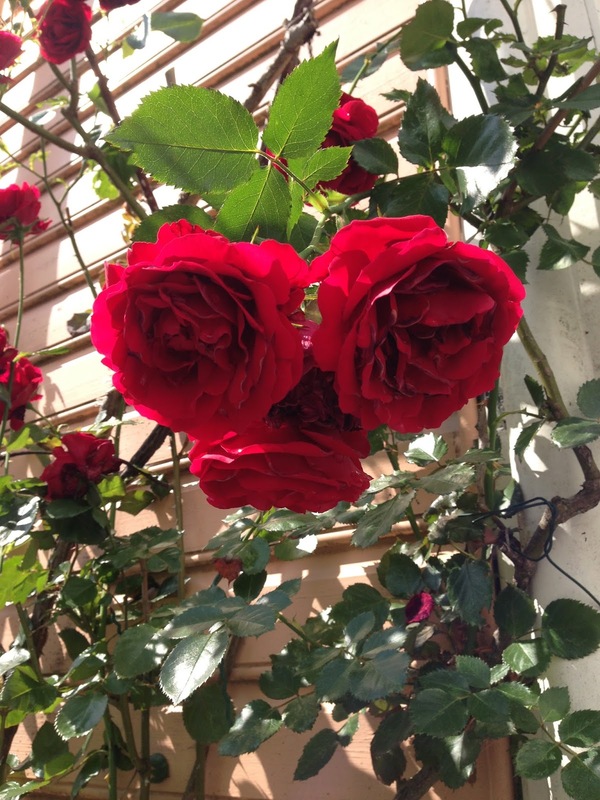 We went to her apartment first for a barbecue and wine. 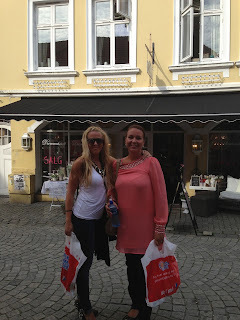 First stop the shop! 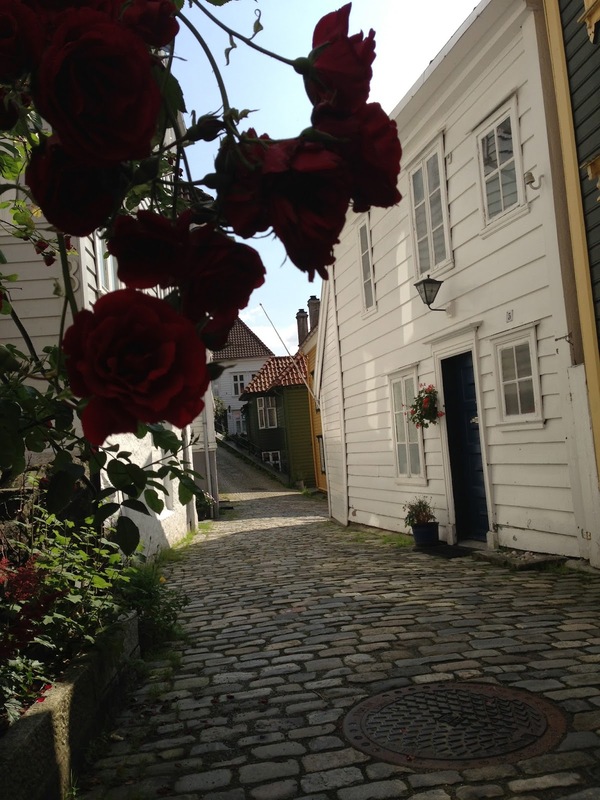 There are so many, small, nice streets like this one in Bergen and you just feel happy straight away when you walk through them, especially when it is sunny (it rains a lot in Bergen, and I mean a lot). 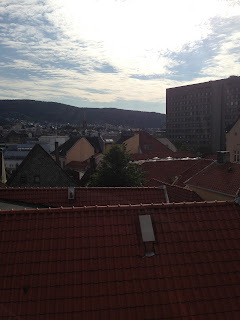 On the terrace of the building apartment where we had the barbecue you have a really good view over the city. Still can not believe we are so lucky with the weather. This evening is going to be great. 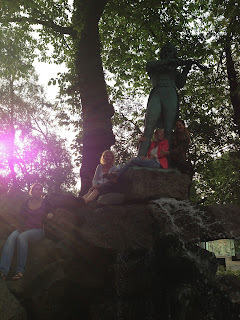 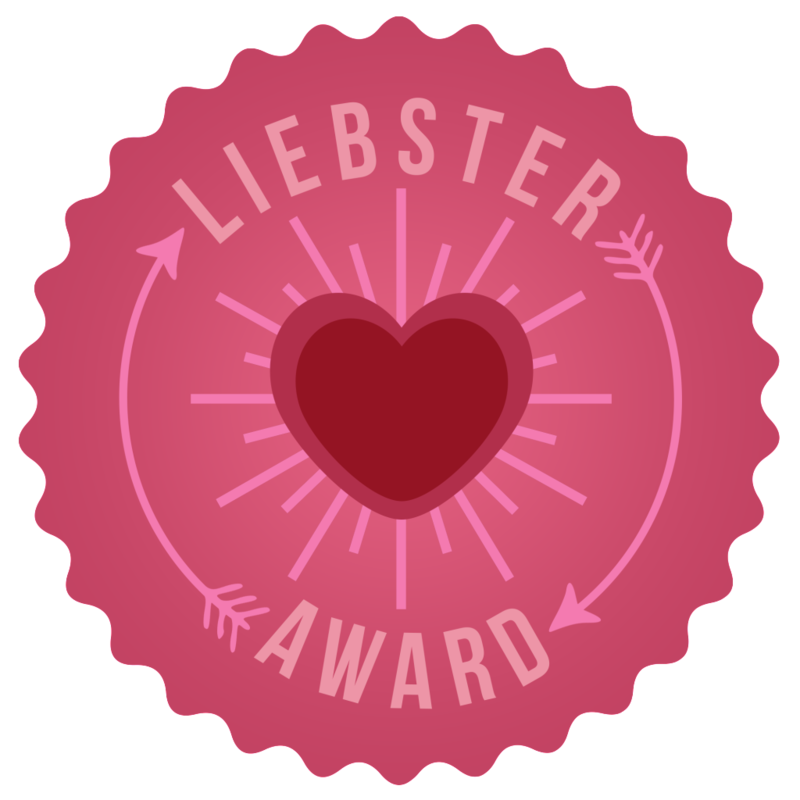 Just would like to remind you that I have a video post from the concert in my blog list. 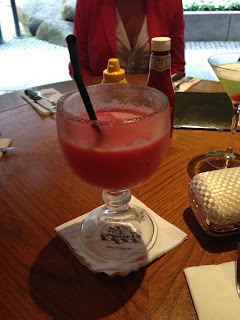 This was seriously a recipe for a success evening. 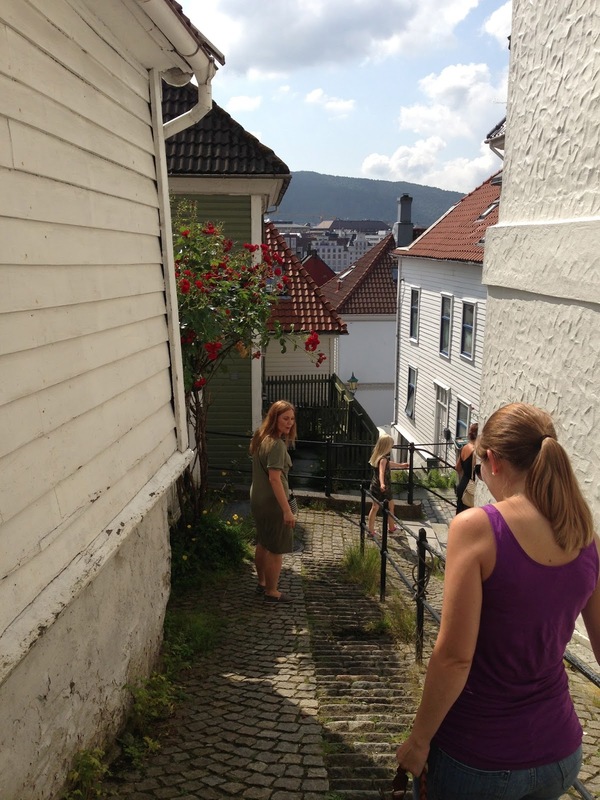 As the weather was so nice we decided to walk from the apartment to the concert arena, Koengen. It is only a 15 minutes walk and you get to see some of the amazing spots in the city. 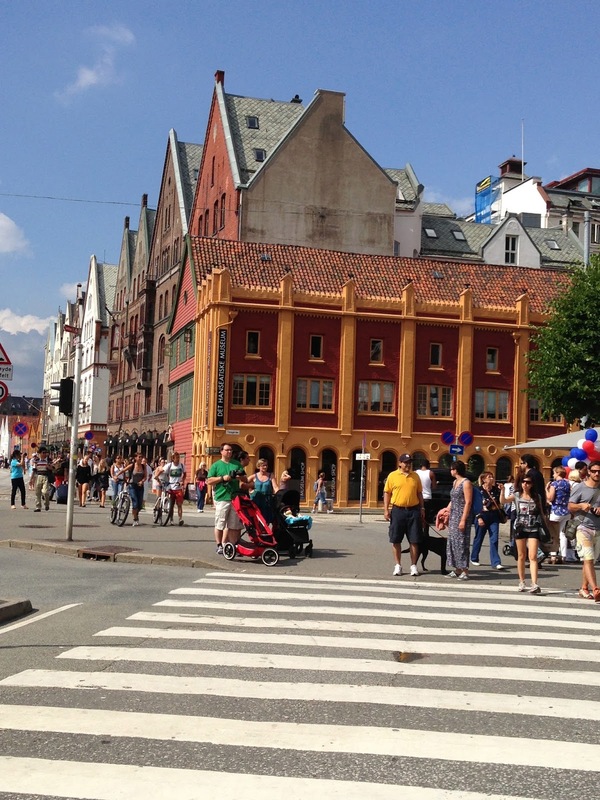 Old "Hansa" buildings dating back to Hanseatene in the13th century, small, narrow streets, loads of people on the way to the concert. 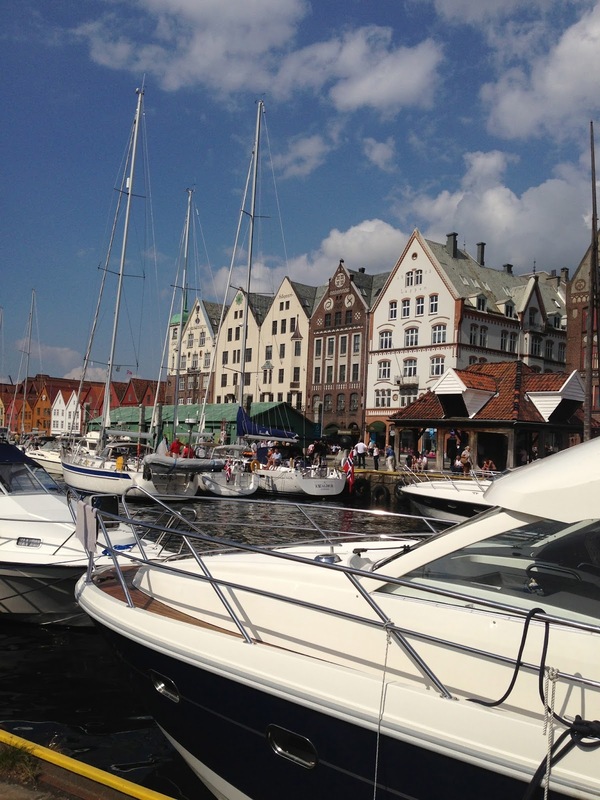 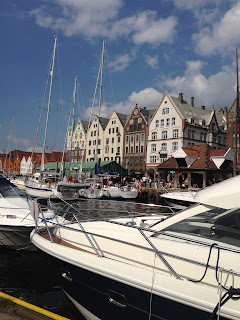 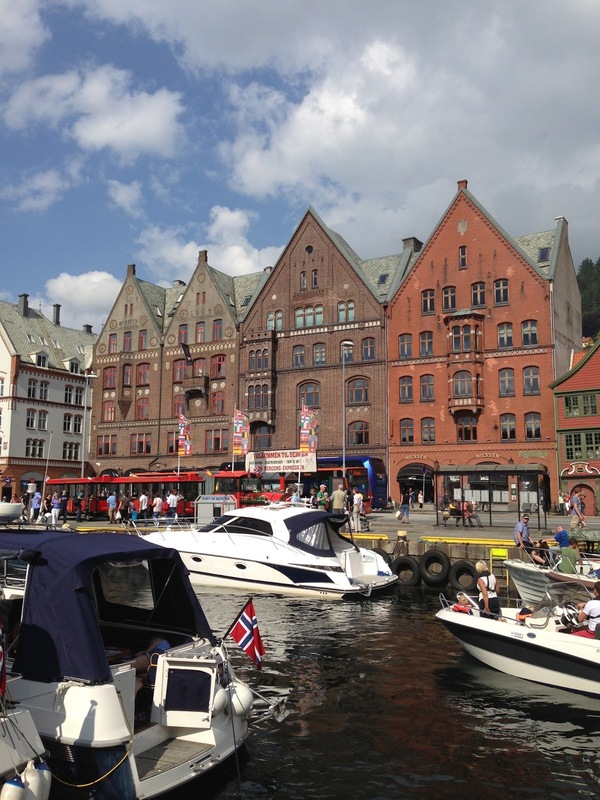 Most of these buildings are located either on the pier (Bryggen) or very close to it. 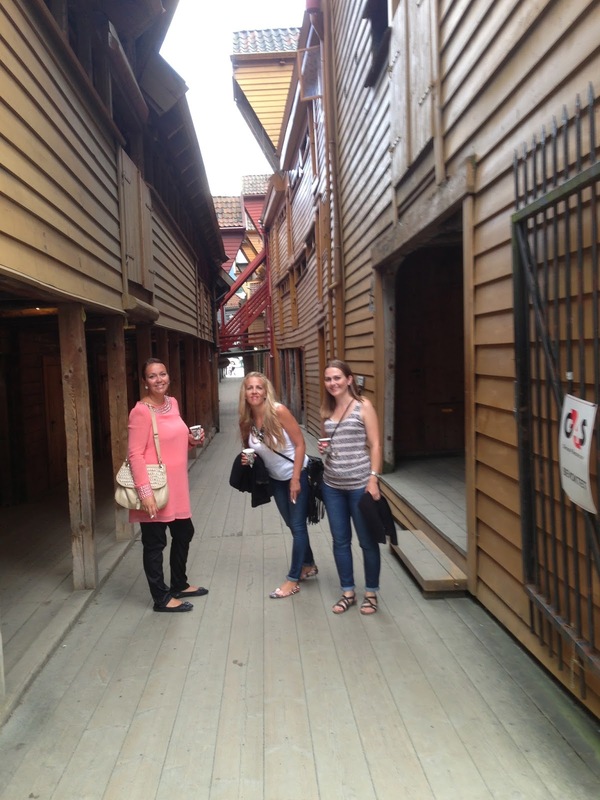 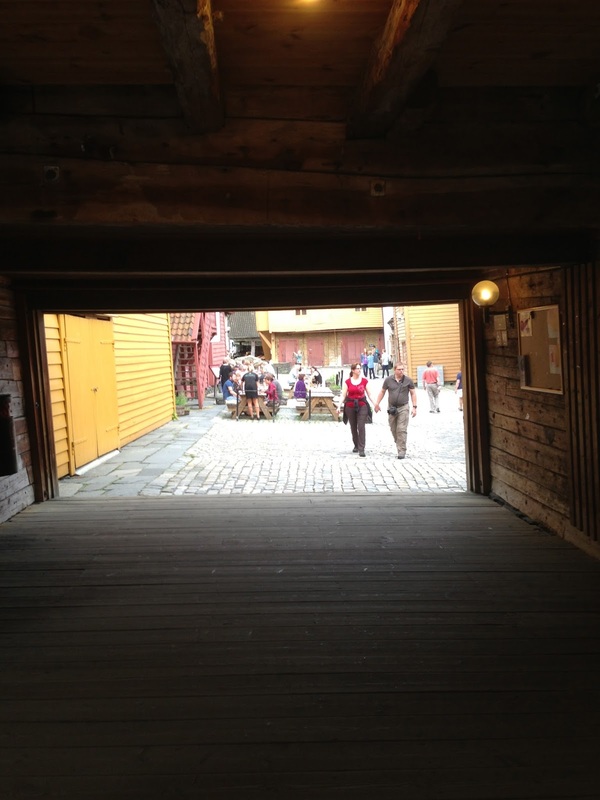 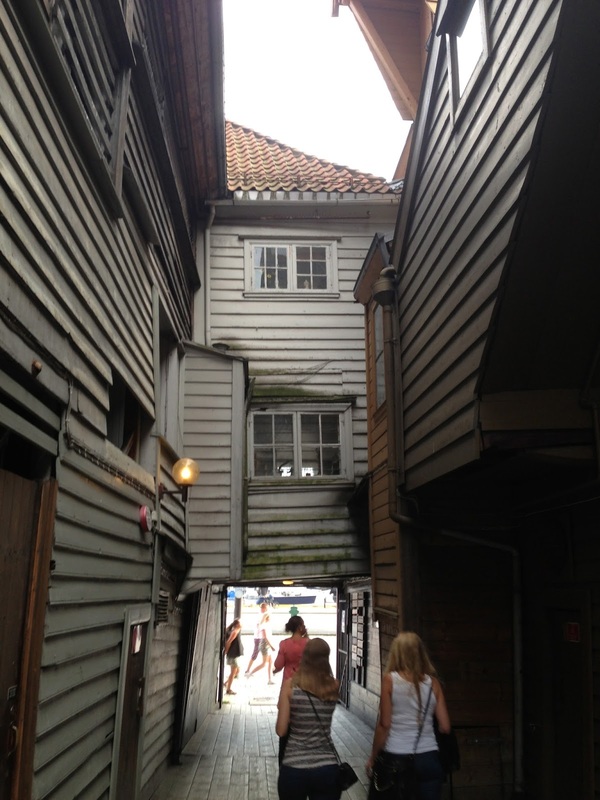 Bryggen is a place you definitely have to experience if you are in Bergen, it is one of the most famous places. 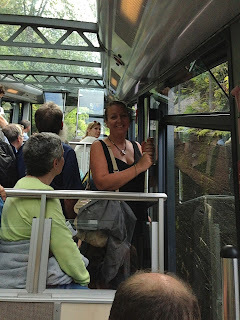 When we arrived at Koengen we were kind of amazed how smooth everything went, there was hardly any ques to get in and everything was very well organized. 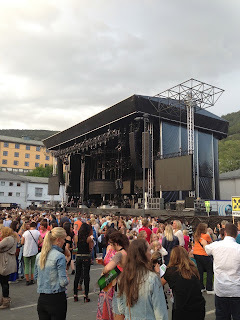 We even found a great spot not too far away from the stage where it wasn't crowded at all. Great for us crazy people who most likely were going to jump and dance and sing a long on most parts of the concert. 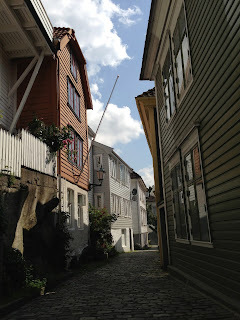 Don't have many pictures from this as I was filming instead, again, I have the video on my blog. 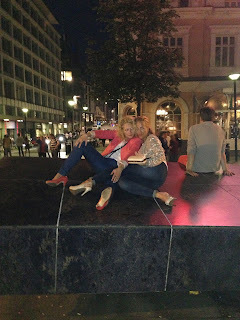 After a short (in my opinion), but okay concert (we had great fun, but I kind of expected more from one of the worlds biggest artist, at the moment), we hit the town. 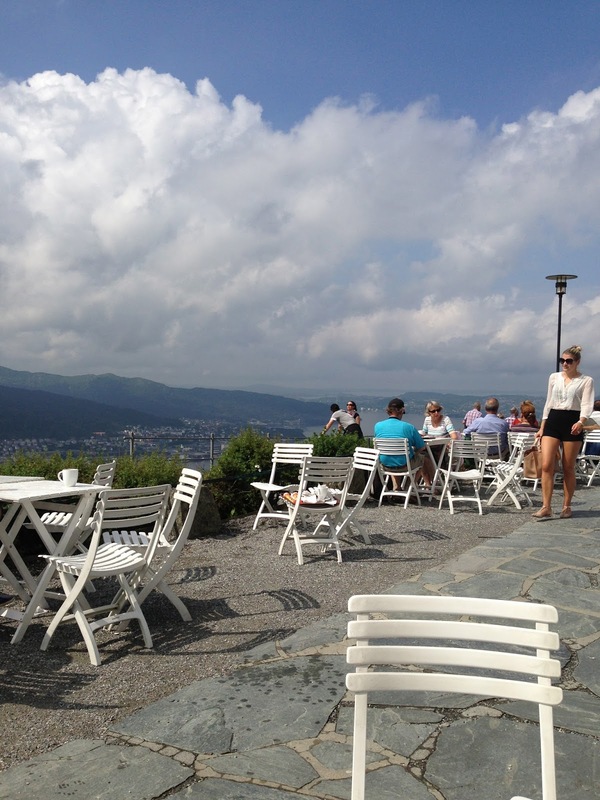 The next day we had plans to go up Fløibanen and have a look at the view over the city. 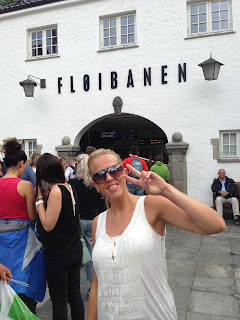 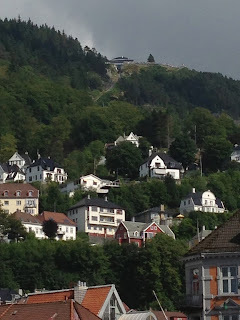 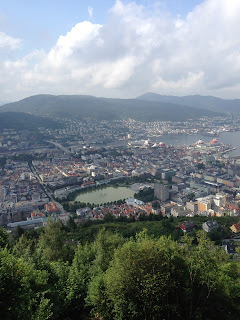 Bergen is very famous for Fløibanen and loads of tourists visit it every year. 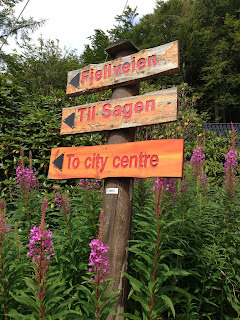 We were there in July and that is definitely the high season for tourists. 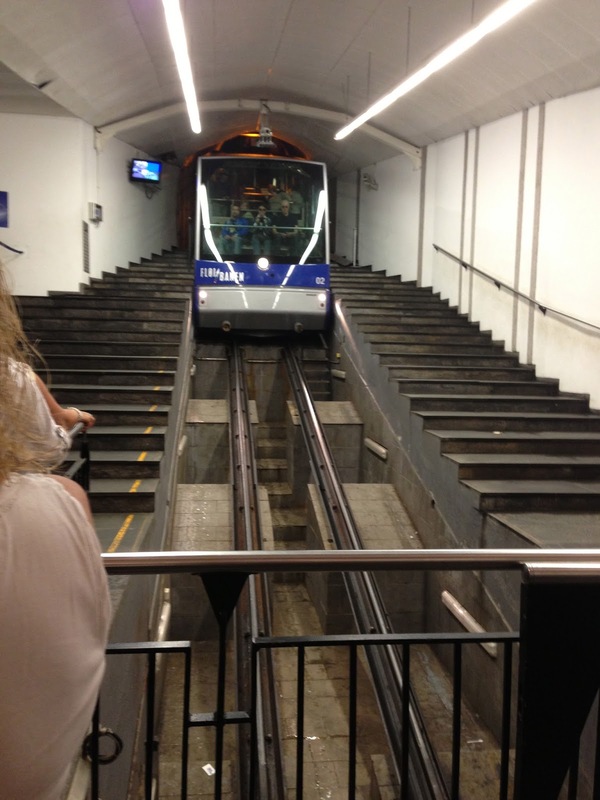 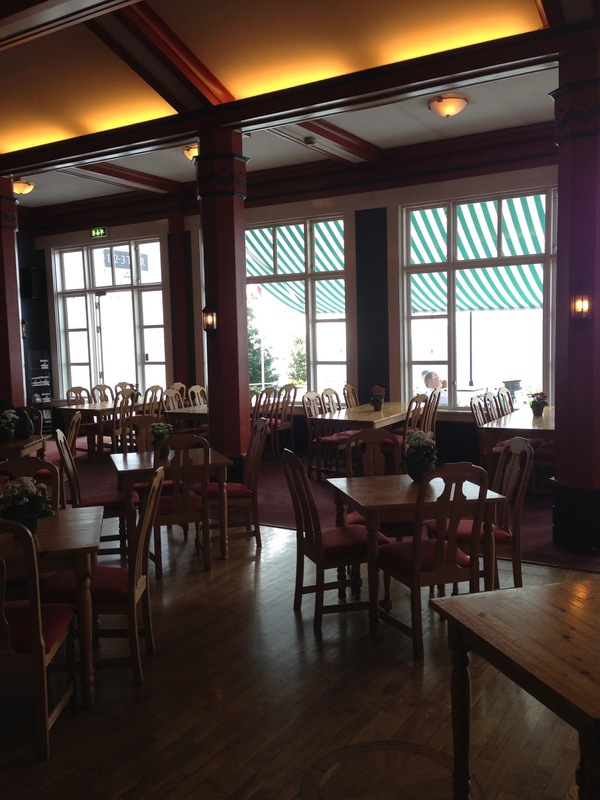 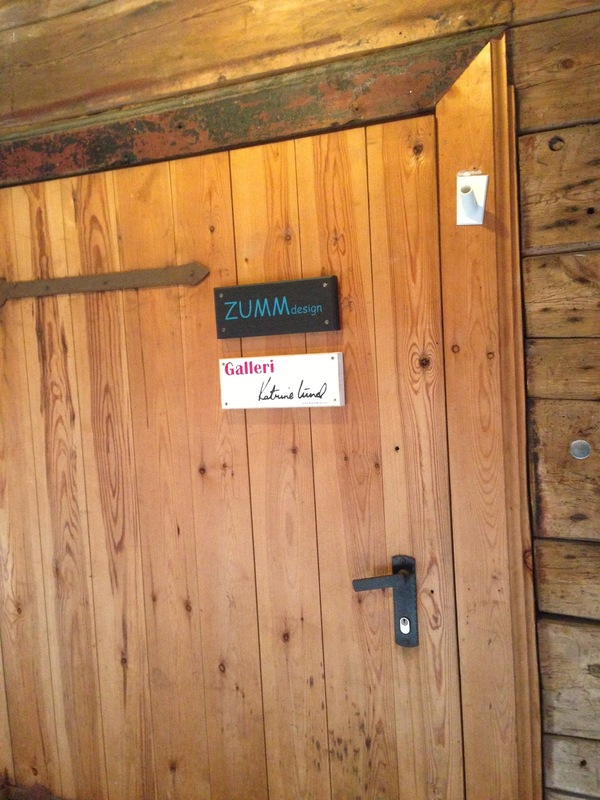 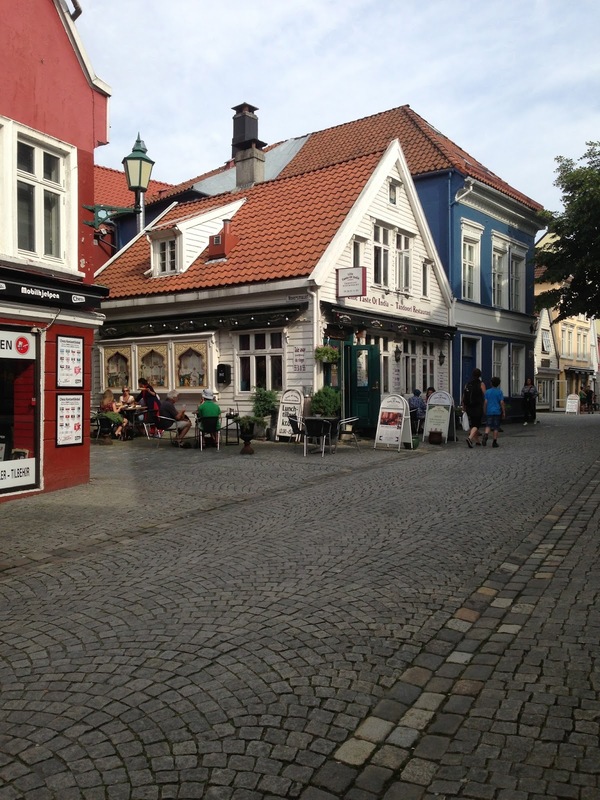 It is located in the city center so you can easily walk from all the hotels in the city. 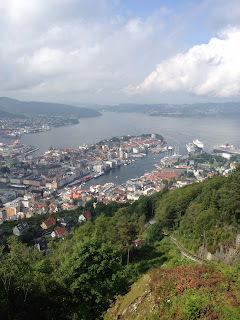 The day started with heavy rain but it cleared up by the time we had come to Fløibanen. 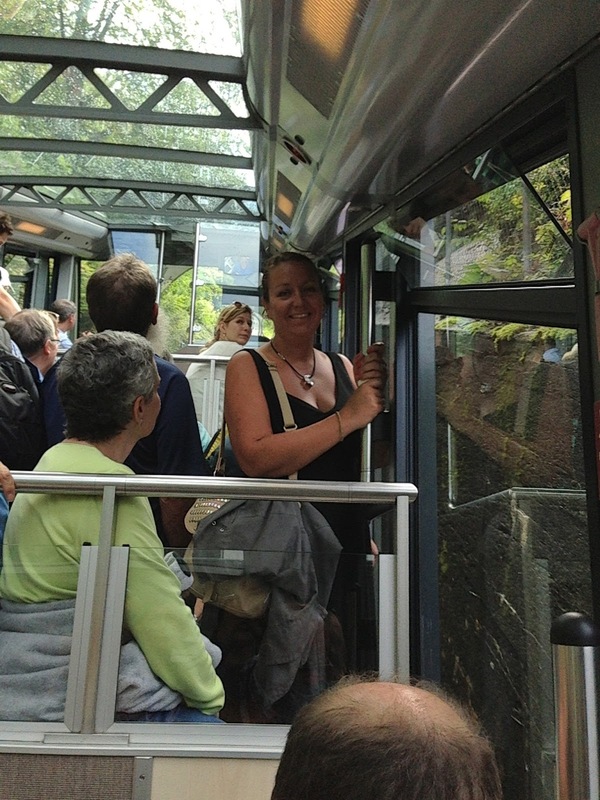 It doesn't take more than a few minutes to get to the top and as you can see from the pictures the view is great and you see a lot on your way up. 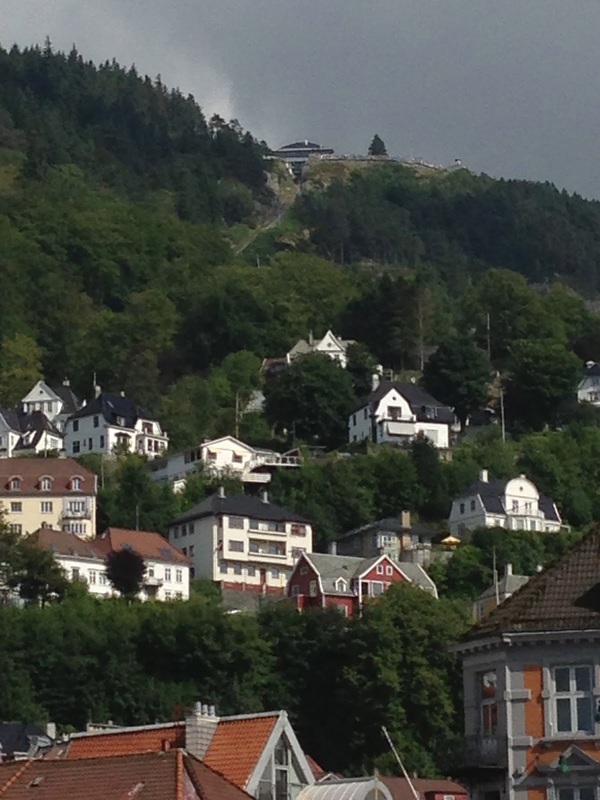 On the top there is a cafe and restaurant, and by the time we got up there the weather had cleared up and the sun was out. What else can you do than sit down and have one of the local brewski! 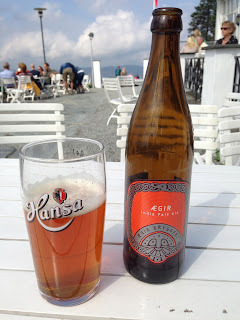 As many people know, Norway is not cheap and this beer is a true prove of that. It is really nice but it cost 121 Norwegian kroner, that is almost 16 euro!!!!!! 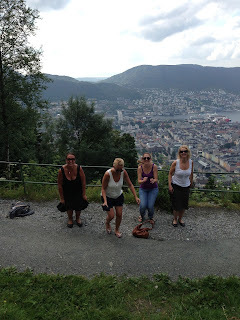 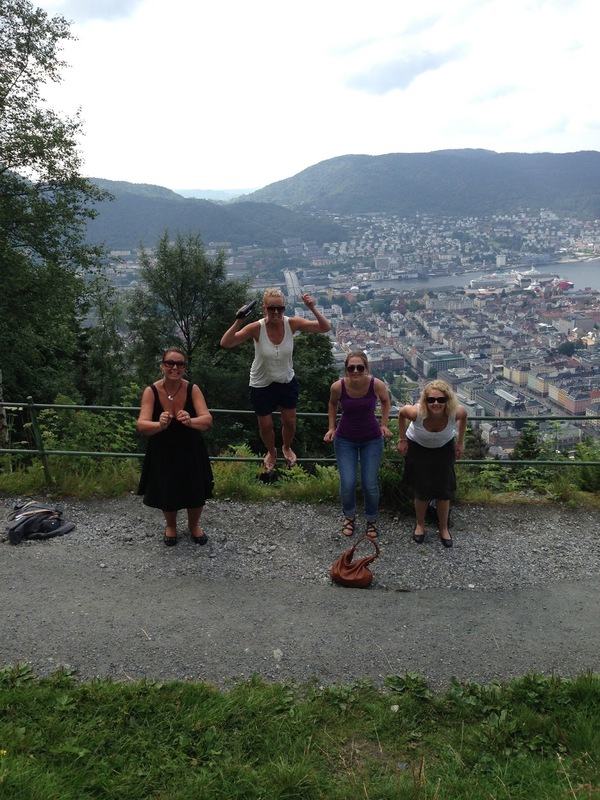 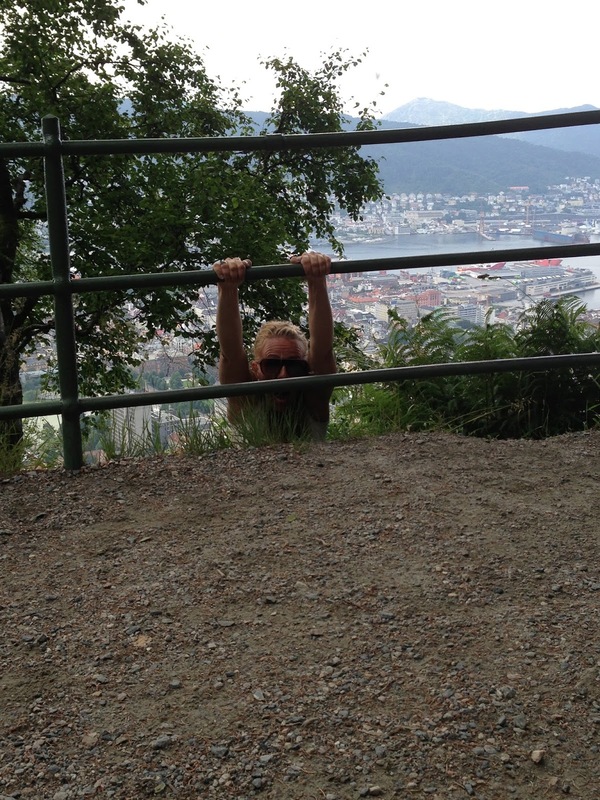 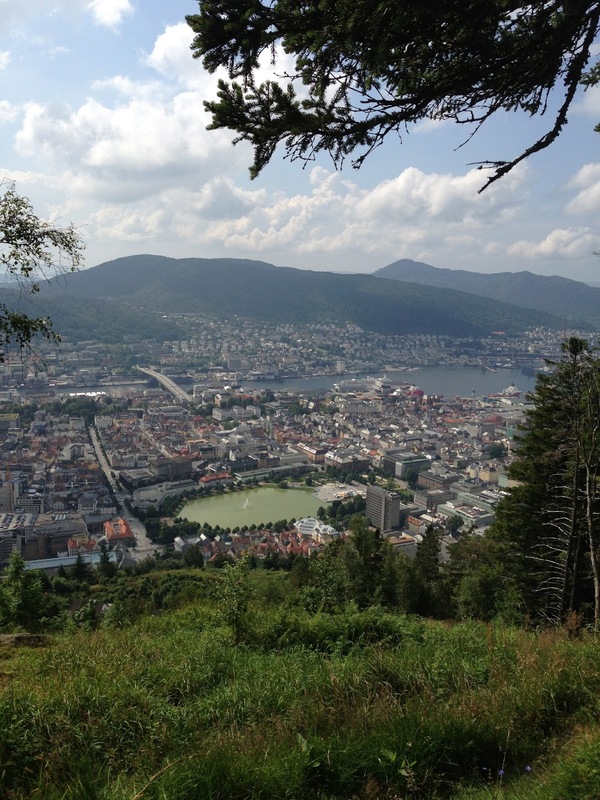 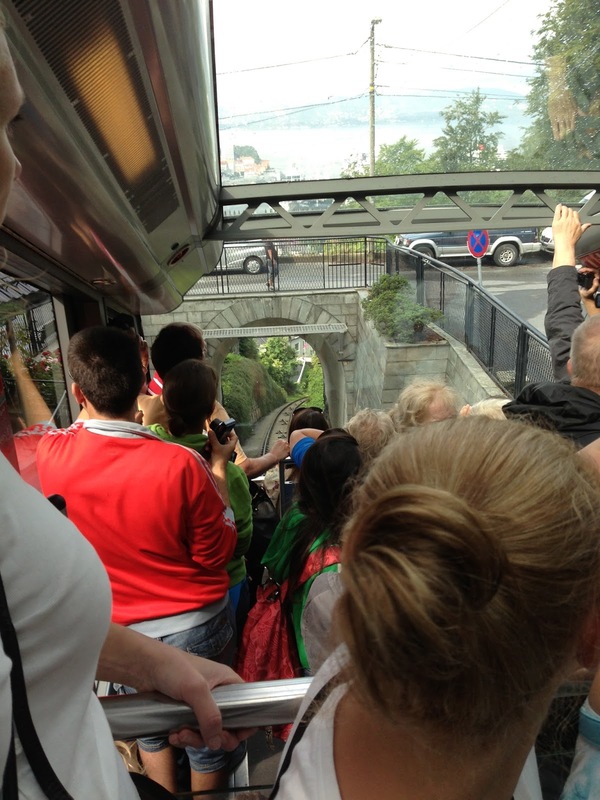 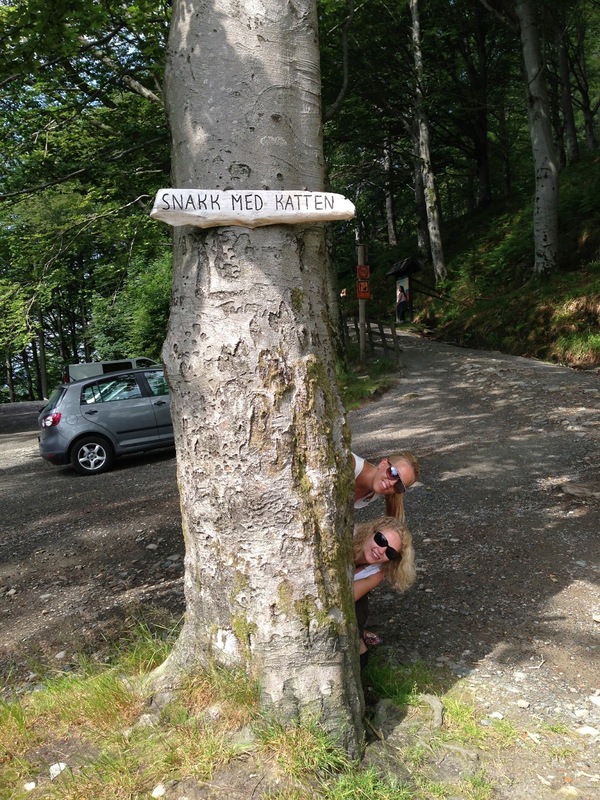 As we took Fløibanen up to the top, we decided that we were going to walk down again. 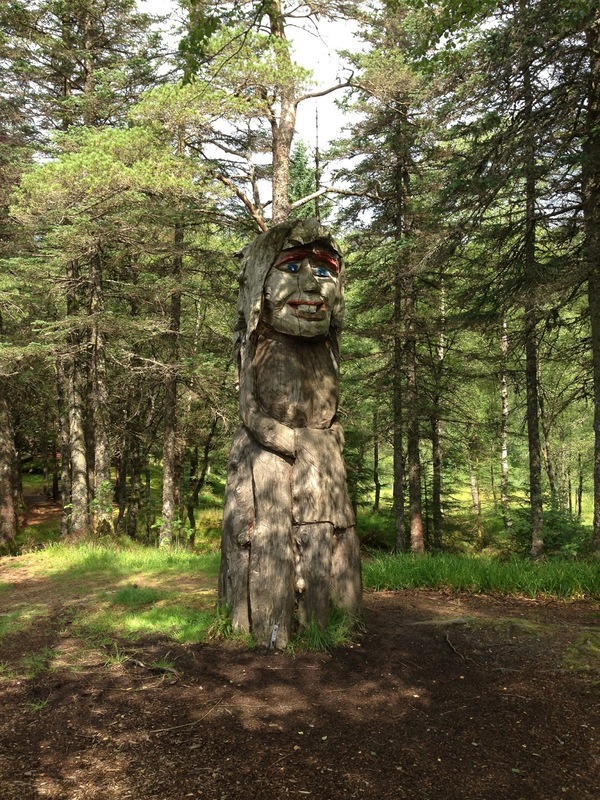 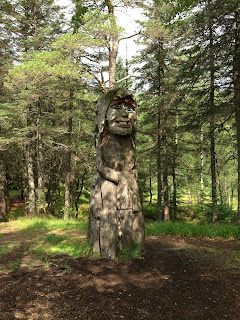 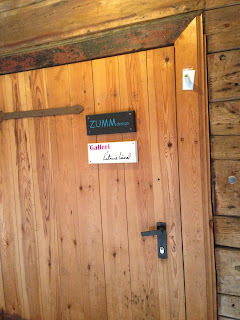 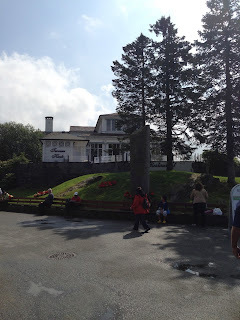 It is a great little walk and there is loads of stuff to see on the way down. 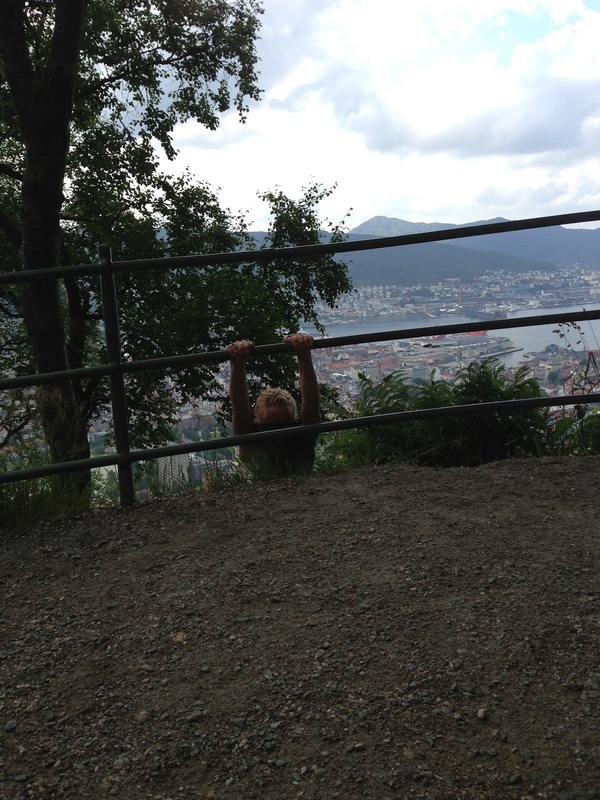 Tried to get some funny pictures along the way. 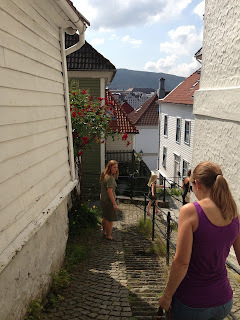 Normally it takes only about 20 minutes to walk down, but with all the pictures I wanted to get I think we used around 50 minutes or 1 hour to get into the city center again. Got great pictures though, and some funny ones. 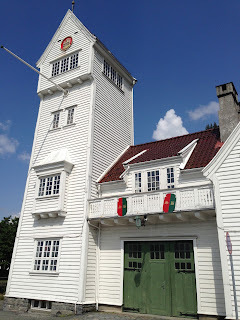 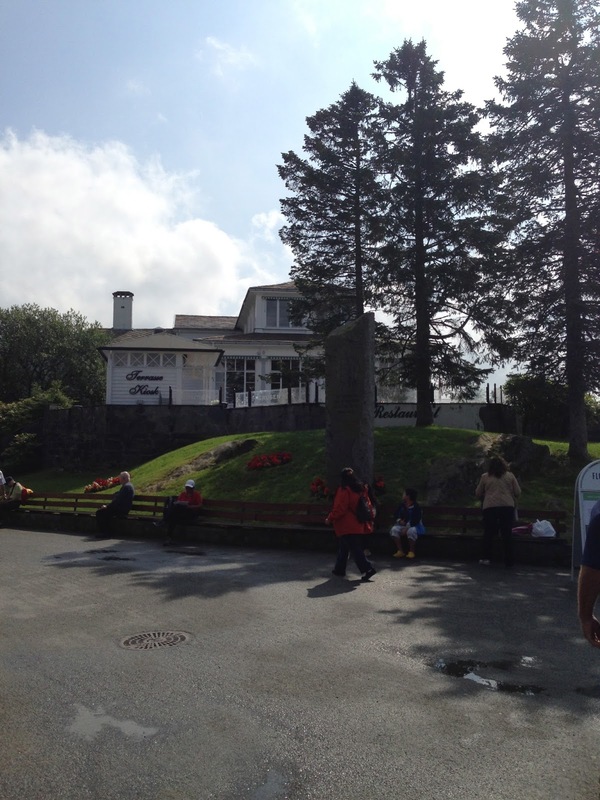 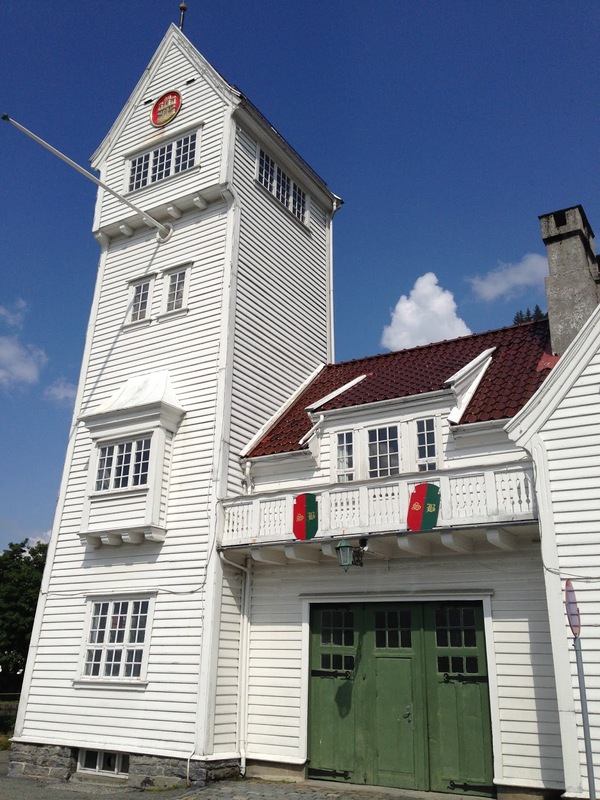 The picture above is the actual fire station in Bergen. 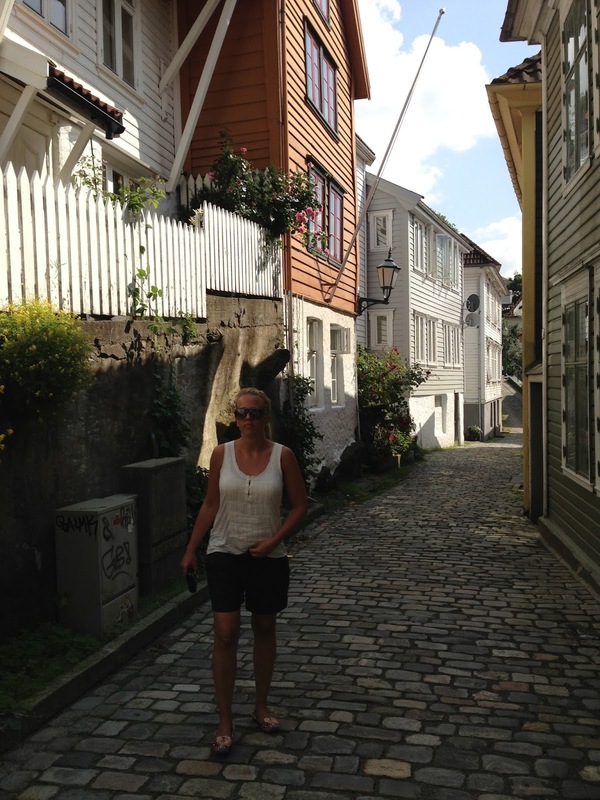 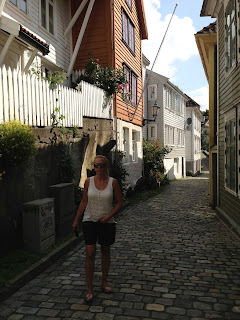 I just love this small, narrow streets with all the wooden houses, it is very rural Bergen and of course typical Norwegian. A long walk like this deserves a little drink. 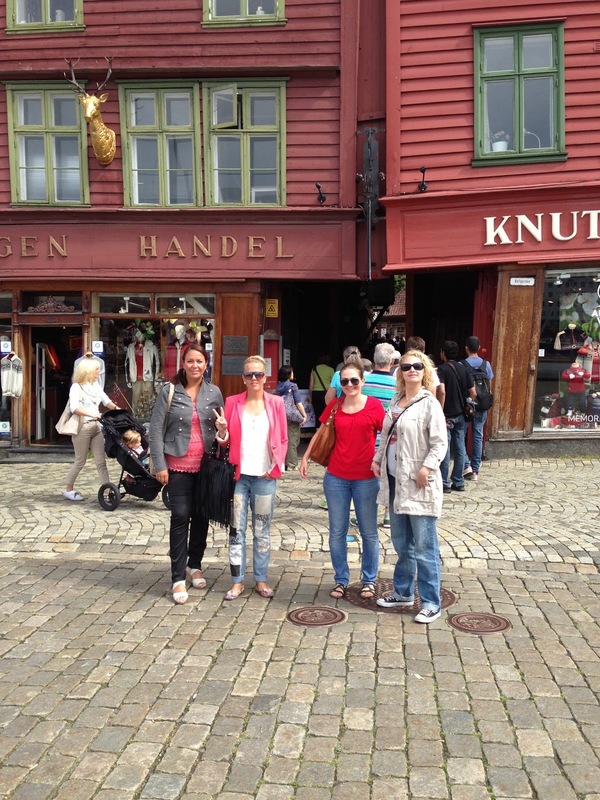 After that little pit stop we walked around a little bit, it was time to get some lunch. 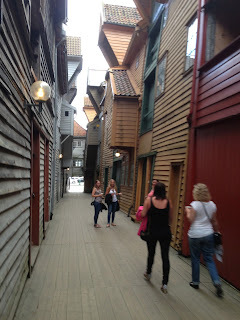 Just had to get some pictures of Bryggen. 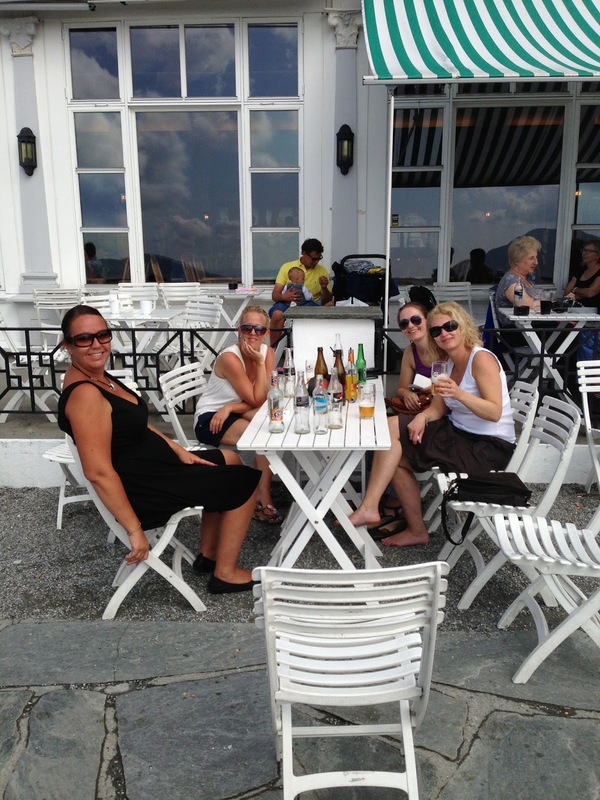 After lunch we just went back to the hotel to sit outside and enjoy the nice weather. 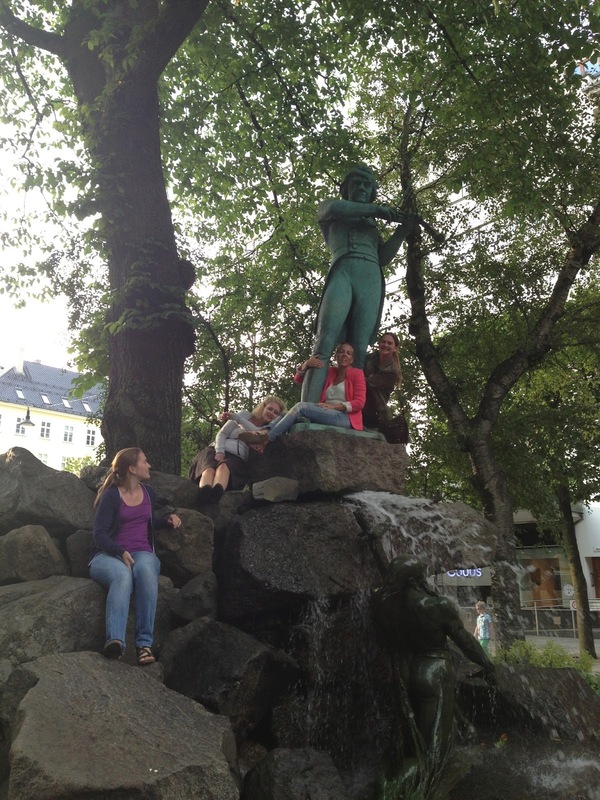 Of course we had to climb in the fountain to get more pictures. 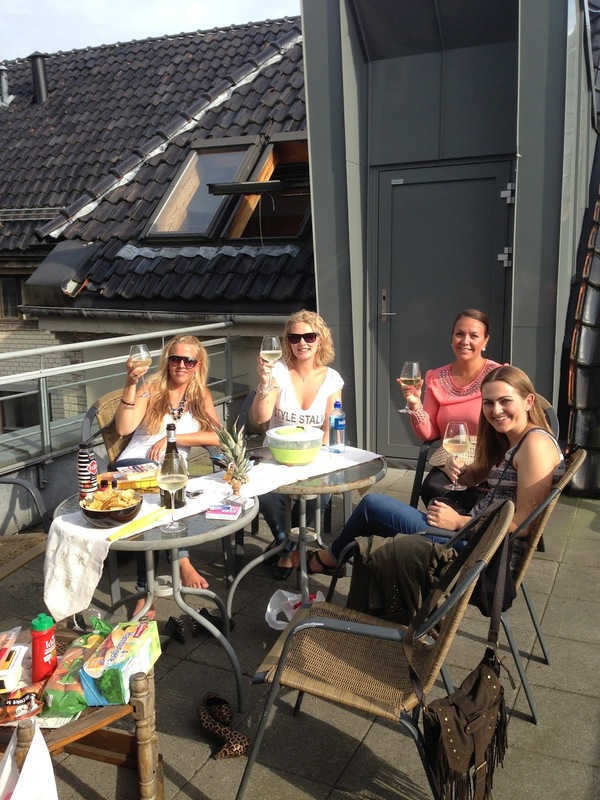 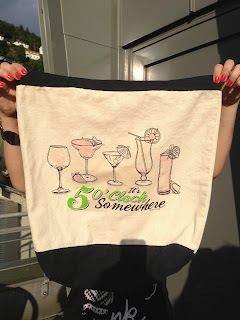 Now it was just time to get ready for the evening! 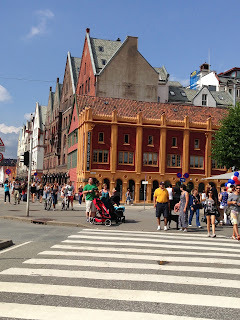 There are so many more thing to do in Bergen and one of the most popular things is probably to take Hurtigruta up towards North Norway. 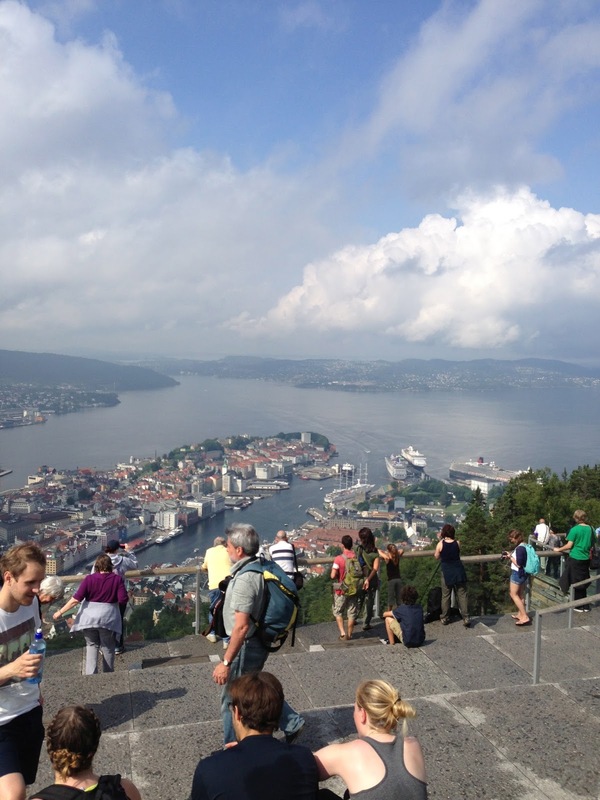 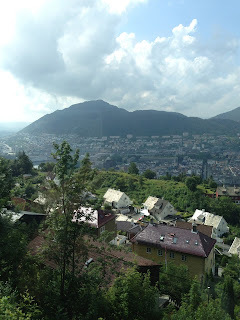 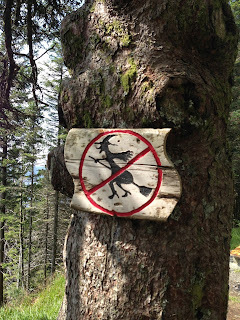 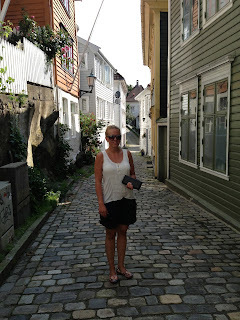 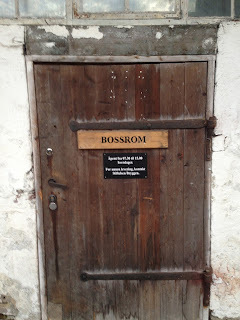 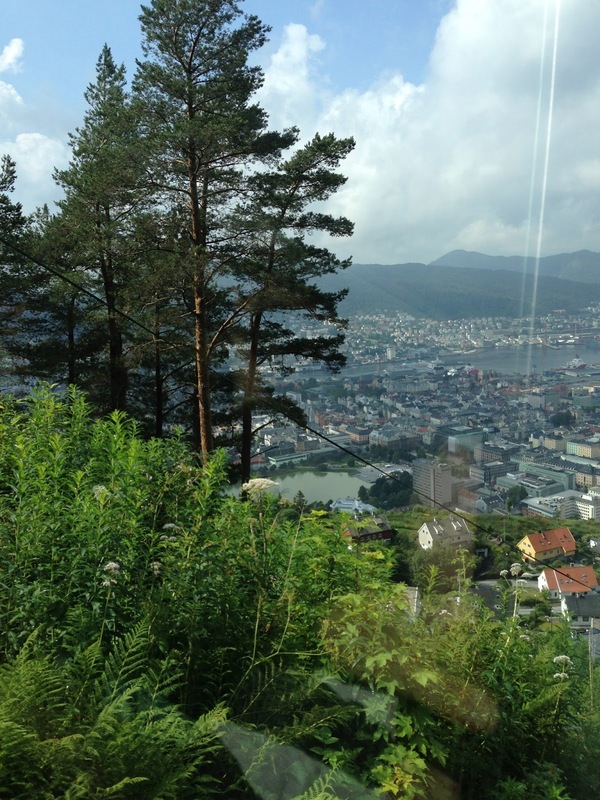 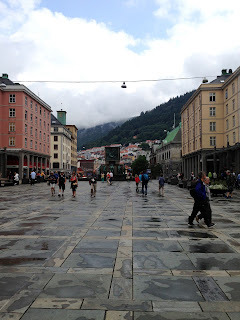 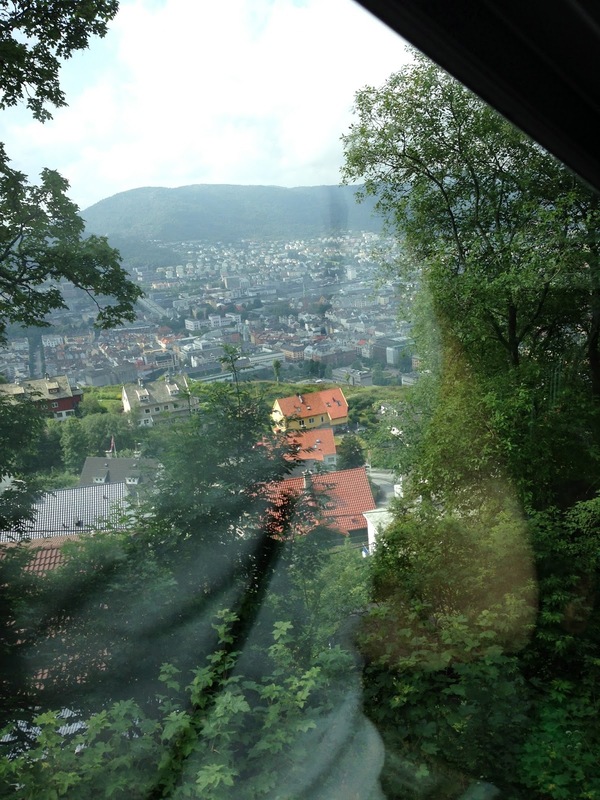 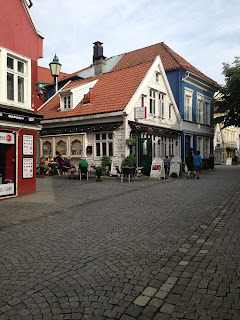 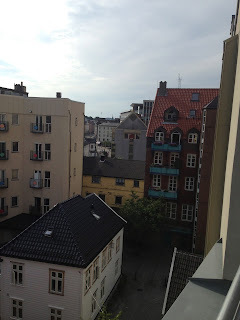 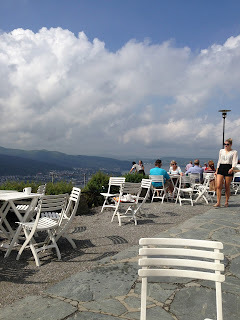 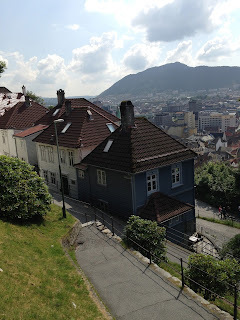 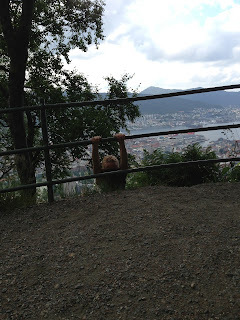 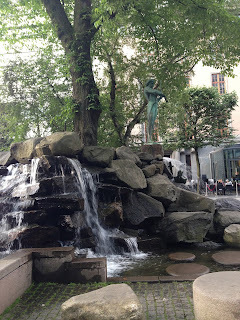 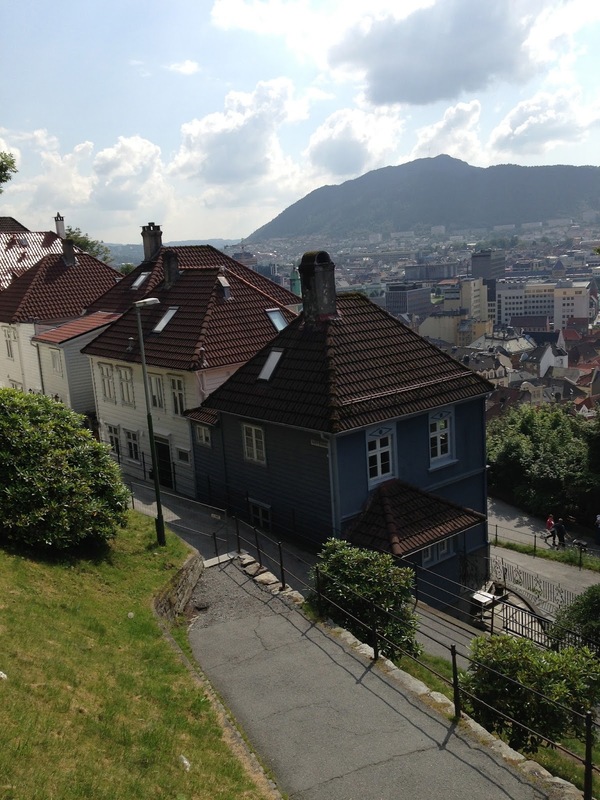 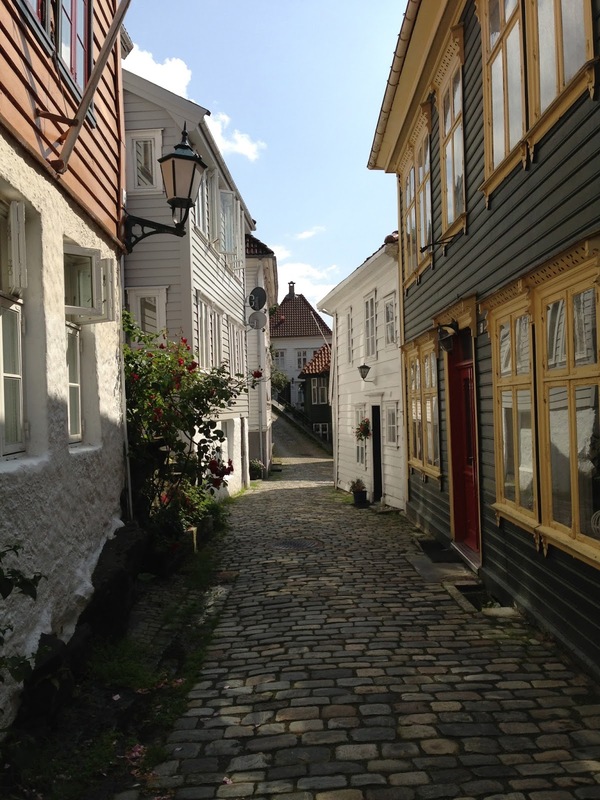 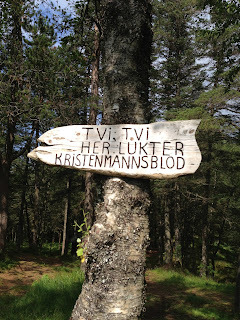 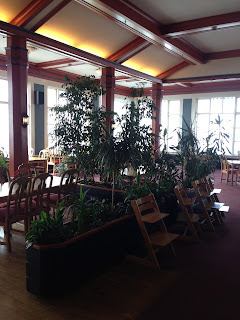 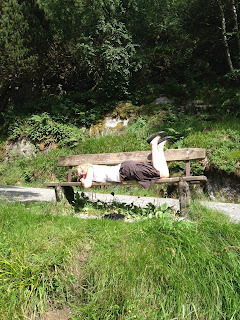 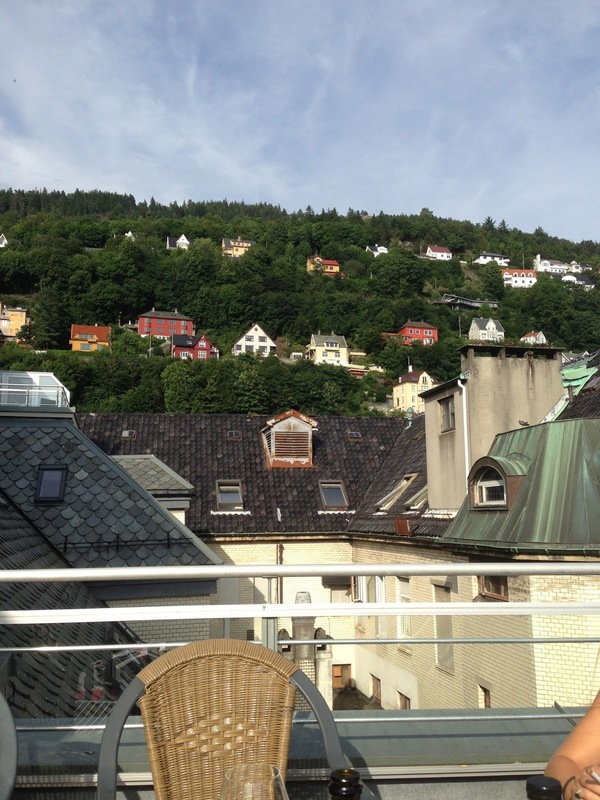 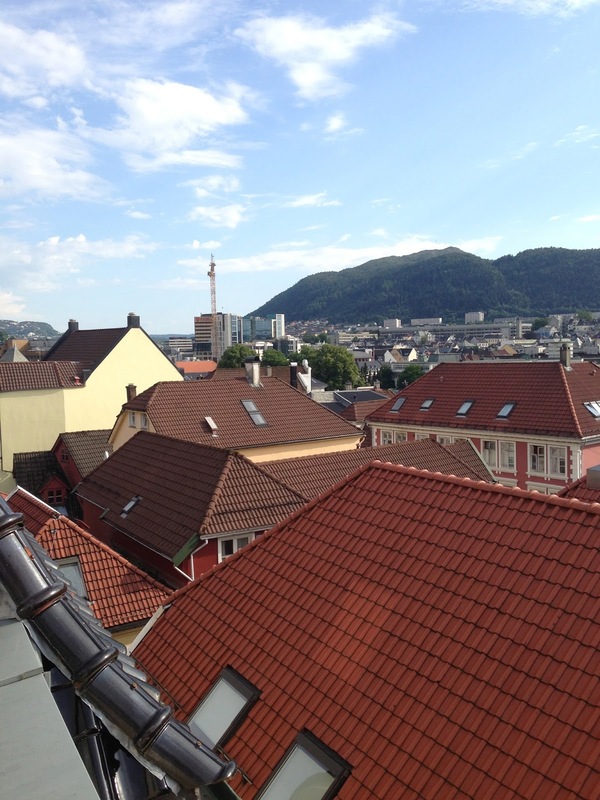 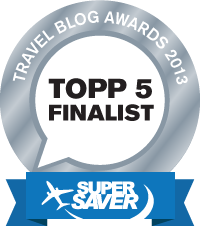 Next time I'm in Bergen I will explore more things so I can write about it in another post.